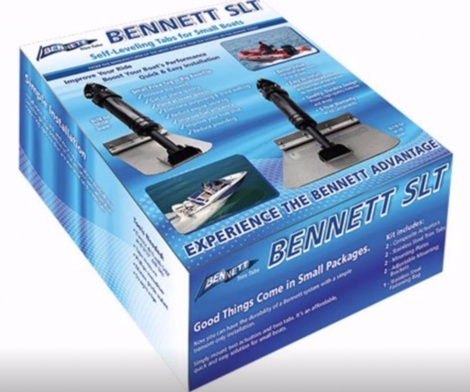 Now you can have the durability of a Bennett trim tab system with a quick and easy installation. There is nothing to do inside the boat - only the mounting of two actuators and two tabs at the transom. It's an affordable, simple solution for small boats from SLT10 Trim Tab Kit 10x10-inch - (14-20ft). The SLT uses some of the same high-quality, proven materials and superior design used in Bennett standard hydraulic systems for more than 50 years. You can change the position of the actuator with adjustable mounting options that are available on the trim tab. Benefits: Plane at lower speeds Improve fuel efficiency Reduce pounding Improve your hole shot Reduce engine laboring Eliminate porpoising and chine walking.